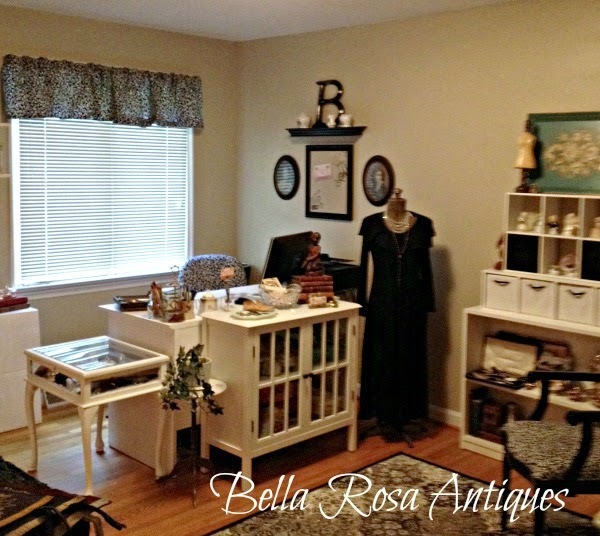 Bella Rosa Antiques: Gone Wild! 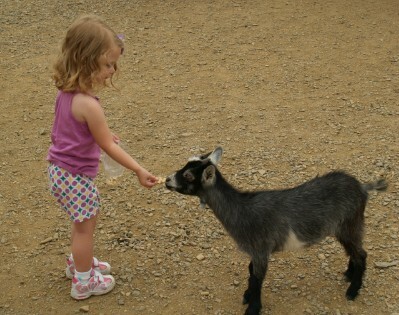 Yesterday Dear Hubby had a vacation day so we took Bebe to a Wildlife Safari park. 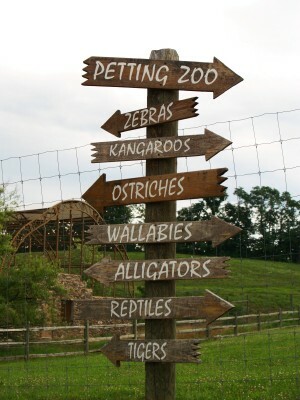 Which way should we go first? 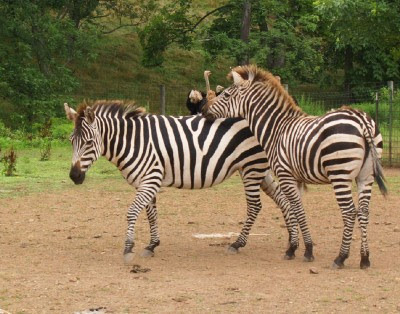 I liked the zebras... they are so amazing to see in person! But then I snapped some prairie dog luurrrrve. Not your regular deer. 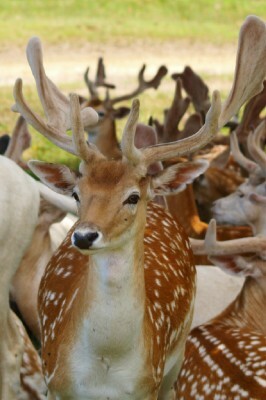 These are European fallow deer. Lucky me, this was my first snapshot of the day! What is this? 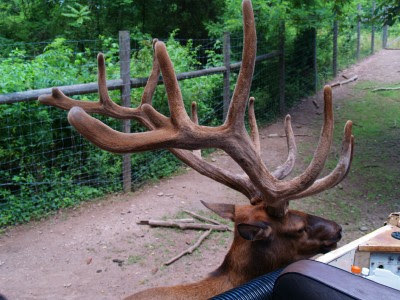 A lady elk decided to get on the bus! Turns out our tour guide feeds these big creatures each time she drives a group through. They're not stupid. Ok. 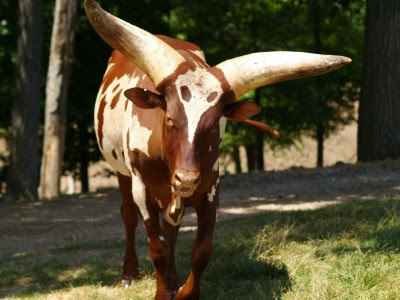 This watusi thing was a little intimidating. 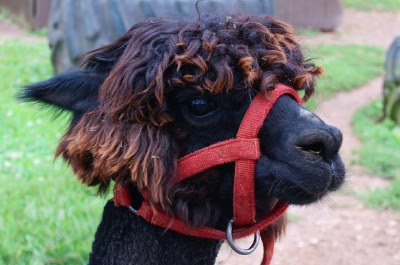 Nice hair! Did someone give this guy highlights? 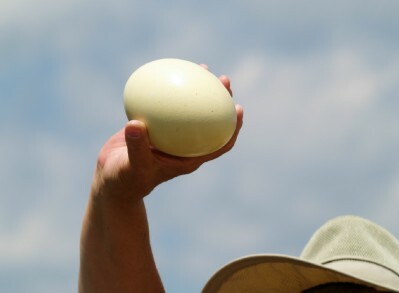 She said one ostrich or emu egg equaled a dozen chicken eggs. A log. 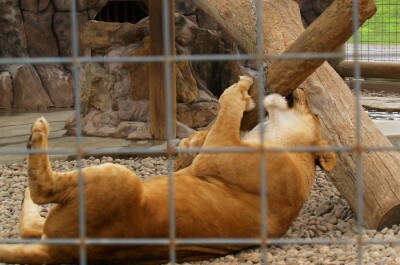 A simple "toy" for a lady lion. 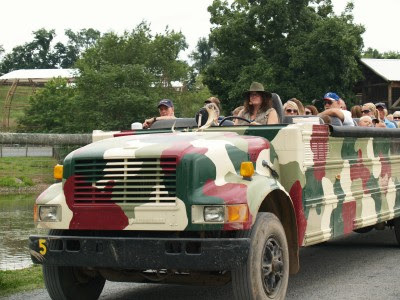 This is one of the tour buses we rode. Bebe had a blast....and Mommy loved taking the pictures. What's next on our list??? I'm linking my fun adventure to Pink Saturday today...and I looked long and hard to find pink in my safari pictures and finally found some in Bebe's shoes in the last photo! Click here to see more wild tales of PINK on the blog, How Sweet the Sound. And don't miss our CHRISTMAS IN JULY sale, going on now, here! I love this post..... love looking at all of the sweet animals. Bebe is so adorable, and looks like she's having a great time! Hope you have a wonderful weekend! Whoa - that Watusi animal is the strangest I've ever seen... I don't think I'd want to get too close. 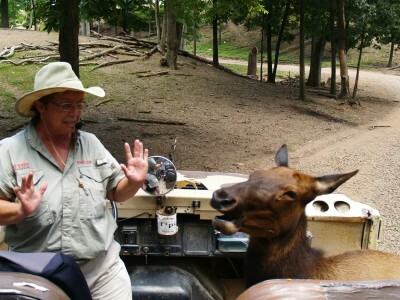 So glad you had a wonderful day at Lake Tobias Safari. wow - great photos! 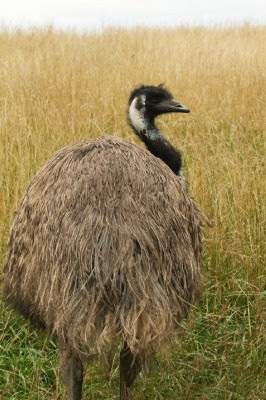 Thought I was looking at National Geographic's site. So you went and had fun? Did you like it at all - or just taking the pictures? Do you recommend it? How cool - love the pics but your comments made them sing! Thanks for stopping by - come back soon! Oh Jillian, what wonderful pictures! I am still laughing at some of them, like the camel. That should win a prize! I loved going to the Wild Safari when we lived in San Diego....I would love to go again! Loved your photos, Jillian. I'm sure Bebe was thrilled with the tour. OMG...some of those critters looked pretty scary to me...especially that watusi guy! Hope you have a great Pink Sat!!!!! Pinks or not -- this was a FAB post!! Your shots of the all the animals were wonderful. 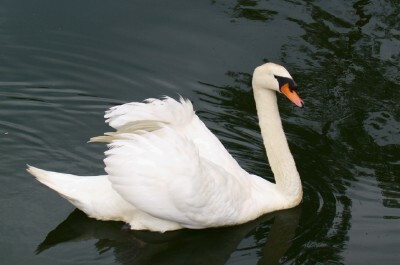 I particularly loved the swan for sure!!! You should frame that. What a fun day. Great memories for all of you. Great shots! That "Watusi Thing" cracks me up...my dad used to make up funny rhymes about the "Great Watusi" but I never knew what one was! :) Thanks for sharing! LOL! 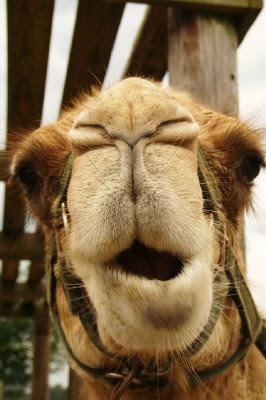 That camel acutally looks as though he IS saying "Whoa"! It looks like it was a fun day...you got some great shots! I visited your blog today. It is so pretty and charming. The pink gloves are so unique, and I love the Paris and French postcards. My daughters went to Paris a couple of years ago and loved everything about it. The earrings that are on your Header look so much like the earrings my mom gave to me. 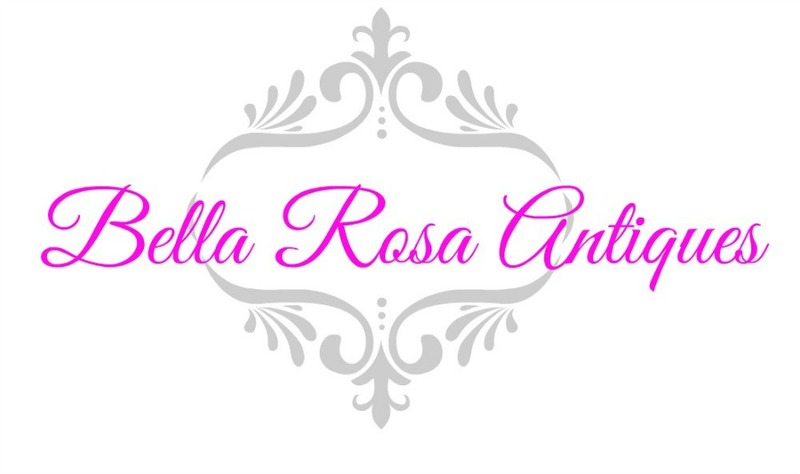 Me and my daughters just started a new blog, and we would love it if you could visit us and follow. I would really enjoy coming back to visit with you, and seeing all your beautiful ideas. Hope to hear from you, and have a sweet day. My ten year old daughter, Kerri was viewing you post with me and thoroughly enjoyed all those wonderful photos; she now reminded me that I promised her another zoo trip. Thanks for sharing! 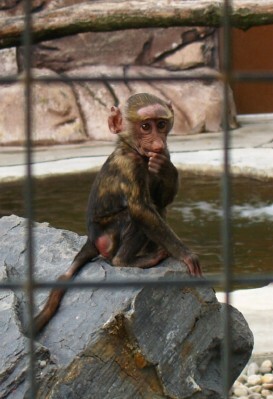 Love that little baboon! Antiquing sounds like fun. I hit a few garage sales this morning but didn't find much. Happy Pink Saturday and have a great weekend! Your photos are wonderful and it's always fun to go to the zoo. Happy Pink Saturday. Hi Jillian - looks like a wonderful adventure. 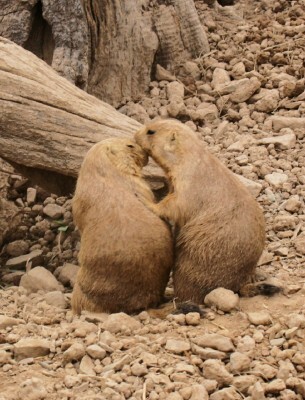 I especially love the prairie dogs! Happy PS! Boy, you had your camera going at all the right moments. The camel and the baby baboon are priceless.